The SidePull De Luxe out of the Soft Feel line from Deuber and Partner is a beautiful bitless bridle, made from the finest and best quality leathers. The Side Pull can be ordered in many color combinations including two-tone. 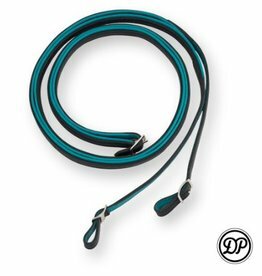 This allows you to match this bitless bridle to your personal color preferences that suit you and your horse. 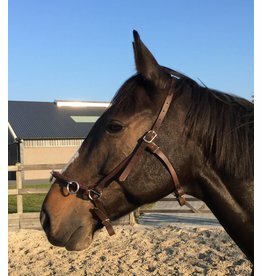 The reins are available separately and can be ordered in the same color combination as your chosen Side Pull bridle. The Side Pull De Luxe Soft Feel is made of smooth leather that is available in different colors. For the softly padded parts, you can choose from Nappa leather or Nubuck leather in different colors.